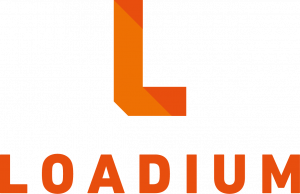 Loadium support real time reporting. It allow you to monitor performance metric on tables and graph layout. There are nine different tab that shows performance metrics. Overview: This screen allows you to monitor Hits, Response Time and Bandwidth graphs in real time and presents basic test metrics which are “Max User Number”, “Average Throughput”, “Total Error Number”, “Average Response Time” and “Average Bandwidth”. Timeline Report: This screen represents performance metrics on a timeline graph. By this way, user may observe any KPI changes on a timely basis. User may correlate different KPI’s (Hits, Bytes, Latency Time, Errors and Response Time”) to visualize on graph. Response Codes: This screen shows the total number of response codes received during performance test grouped by request. Engine Health: This screen show the status of AWS server’s status aligned with Average CPU, Memory, etc..
Logs: User can download JMeter and Loadium logs on that page. Errors: HTTP codes except for HTTP 200 will be shown on this screen. User will be able to observe total number of errors per HTTP status and its related transaction. Assertions: In case your JMeter scripts contains any assertions, this page will be populated with assertions whenever it fails. Any failed transaction will also show its fail reason. APM Reports: You might check out APM integration on that tab.